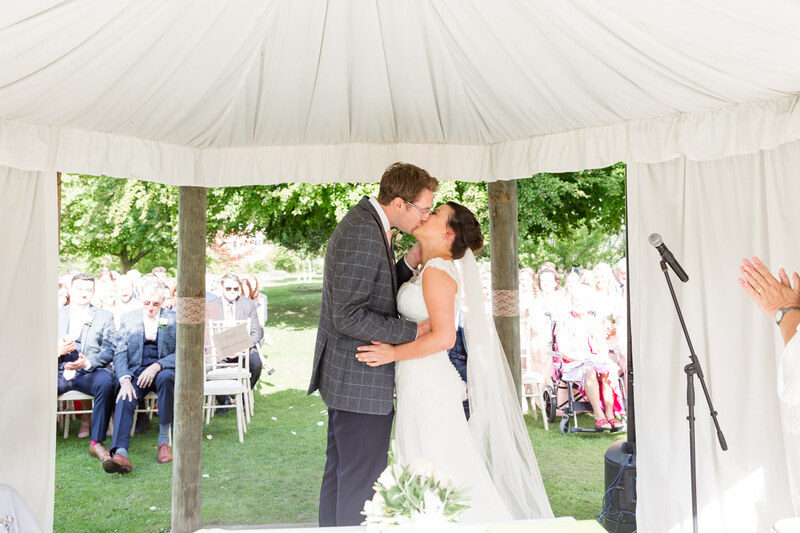 I met Liv &Phil just ten months before their wedding day and what a whirlwind our journey together has been! 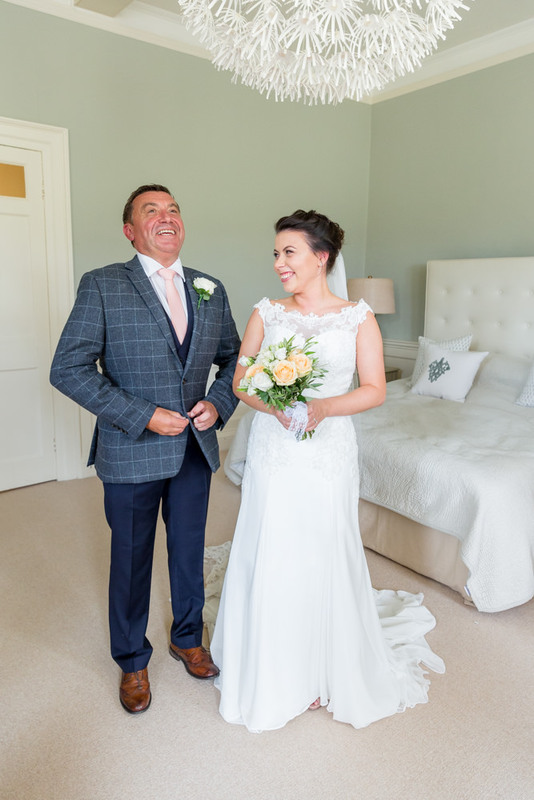 We’ve bounced from meeting, to pre-wedding shoot, through the big day itself and into album design on a cloud of laughter and numerous questions from Liv! 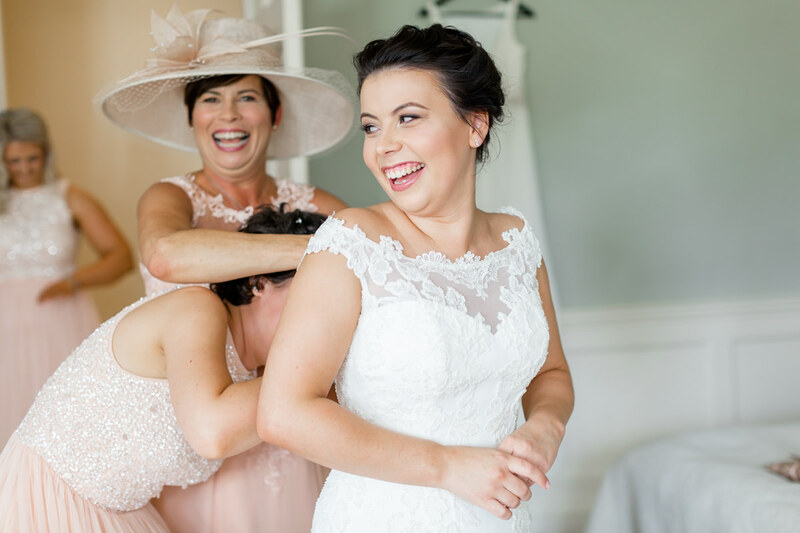 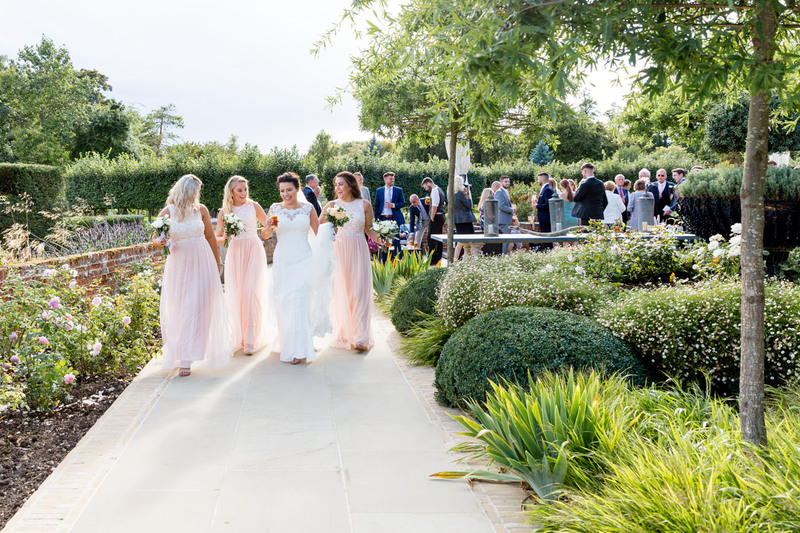 I arrived at Chippenham Park to find Liv, her Mum and Dad plus some of her bridesmaids heading down the garden to add some finishing touches to the marquee. 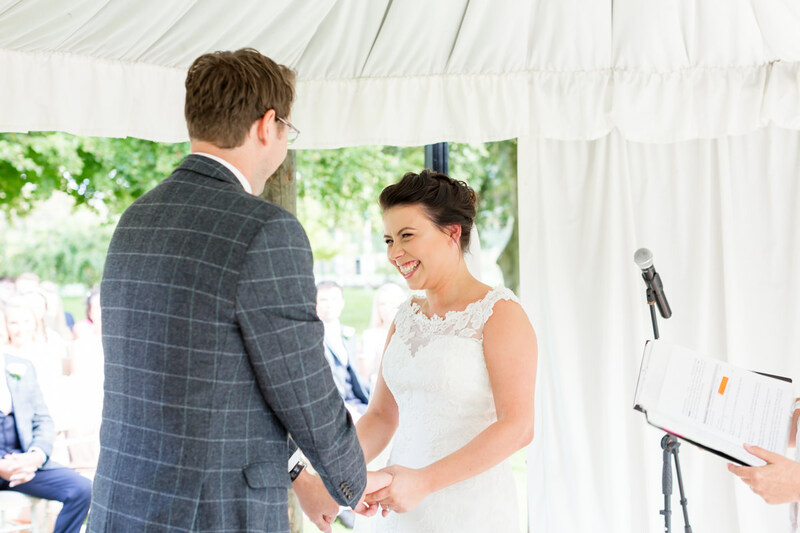 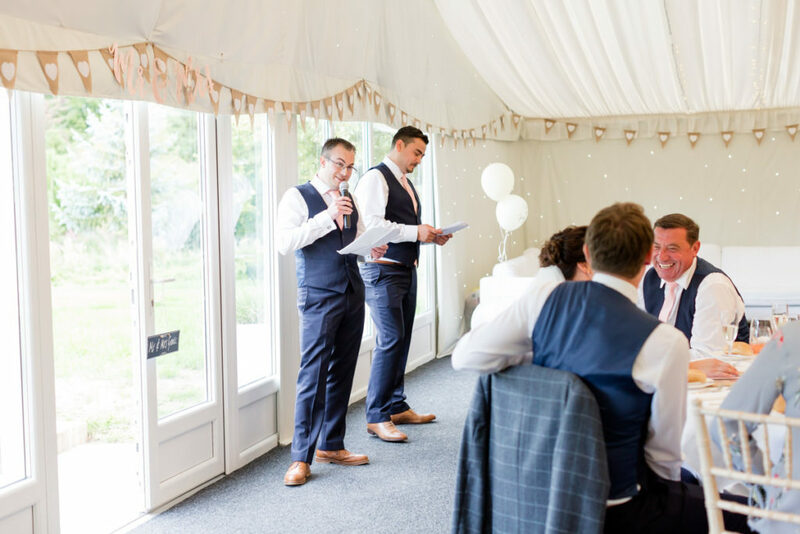 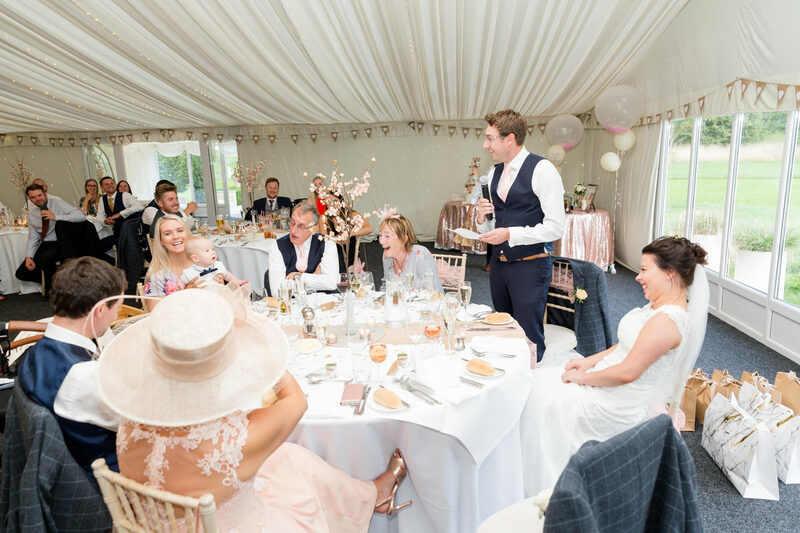 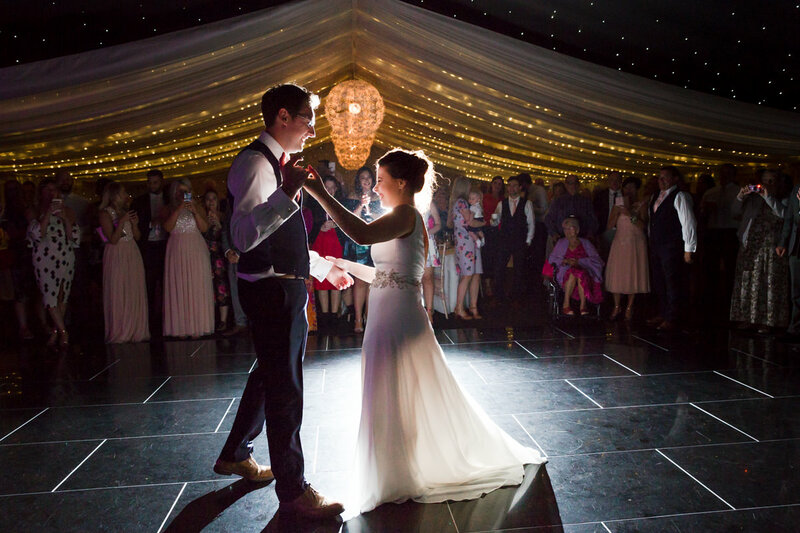 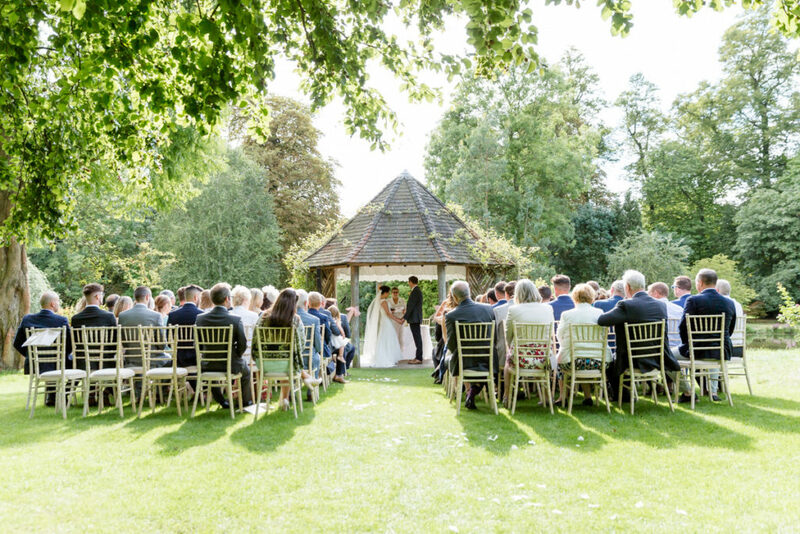 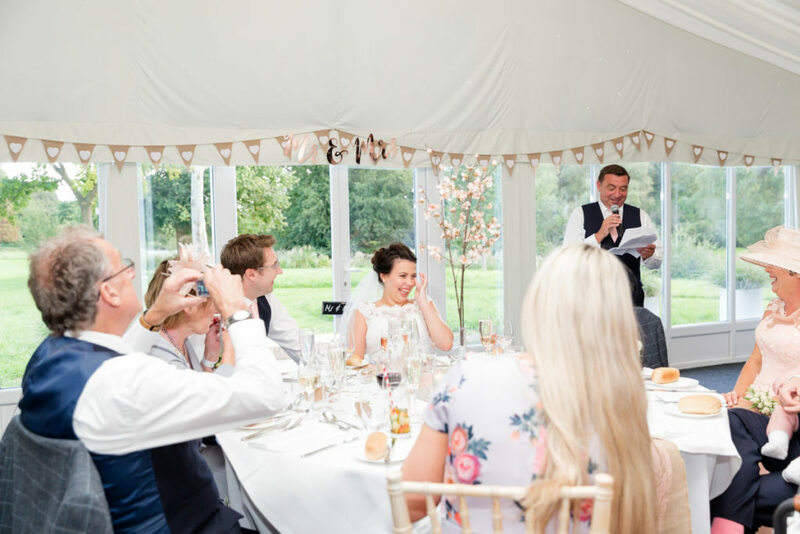 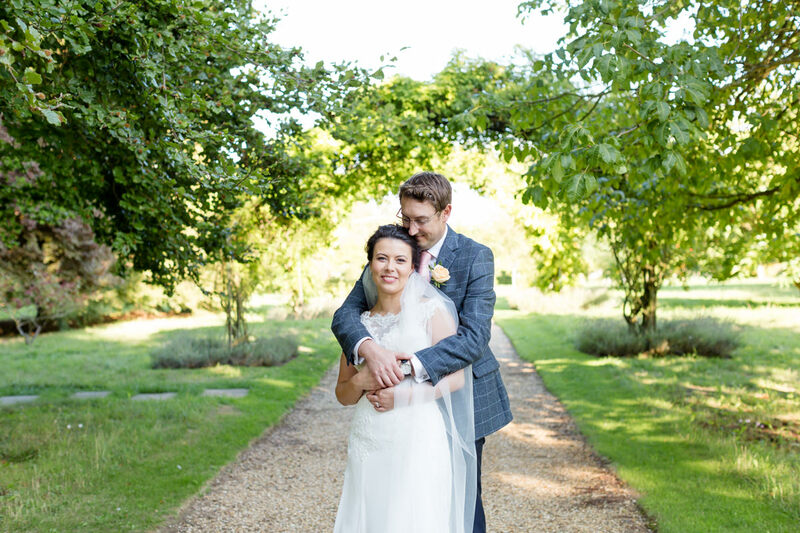 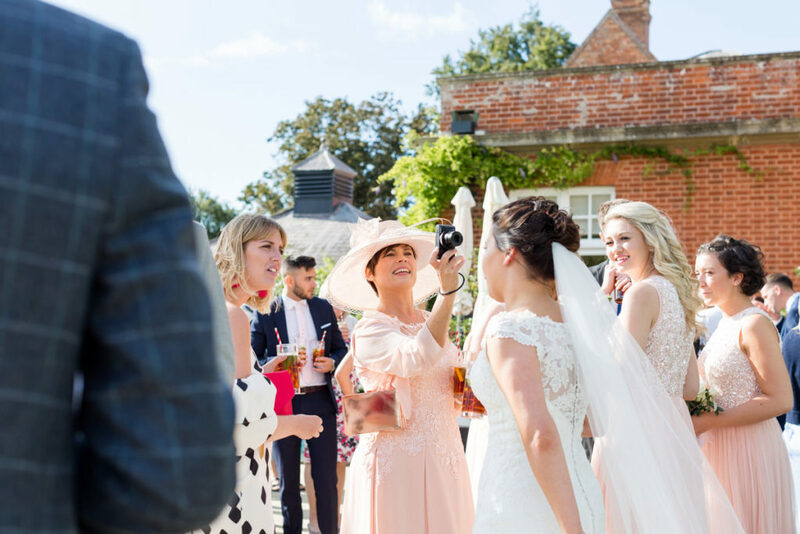 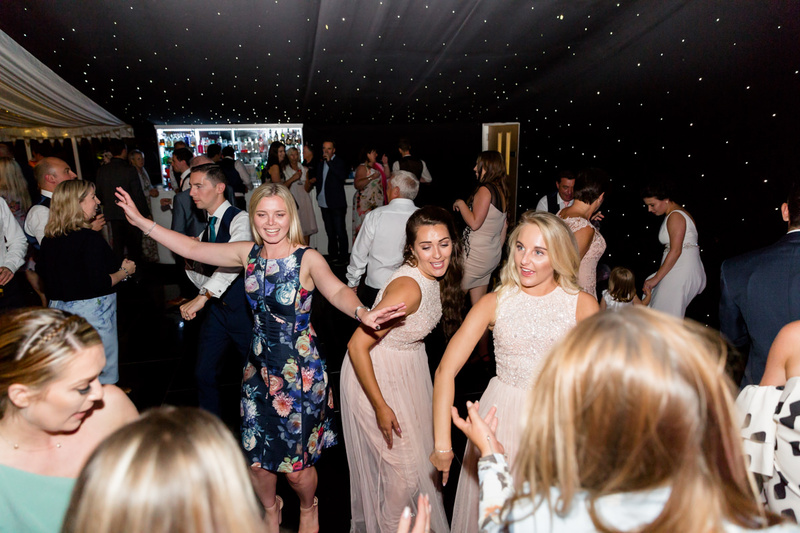 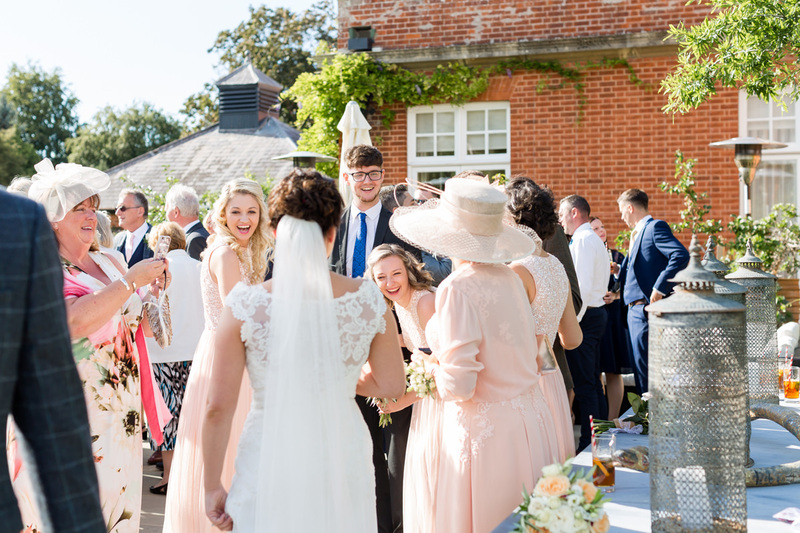 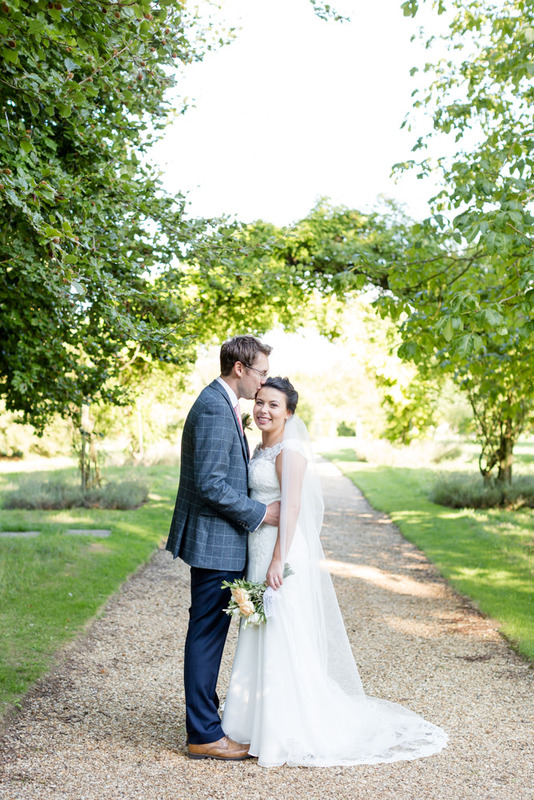 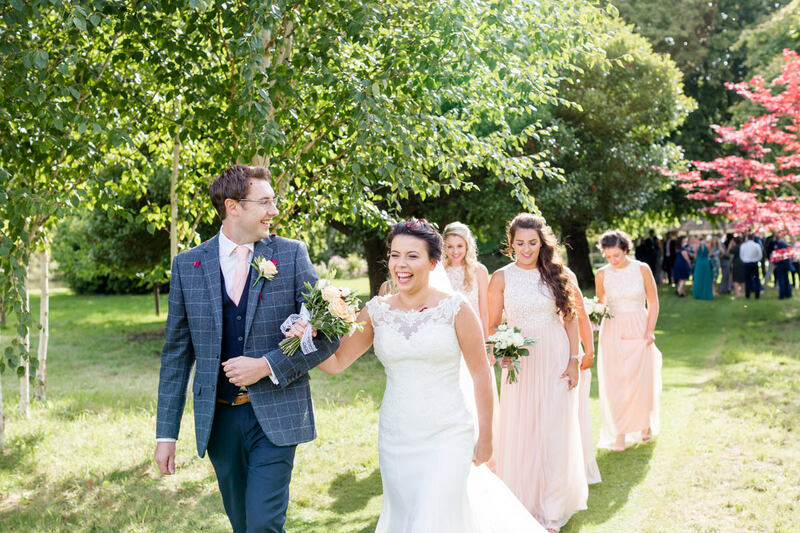 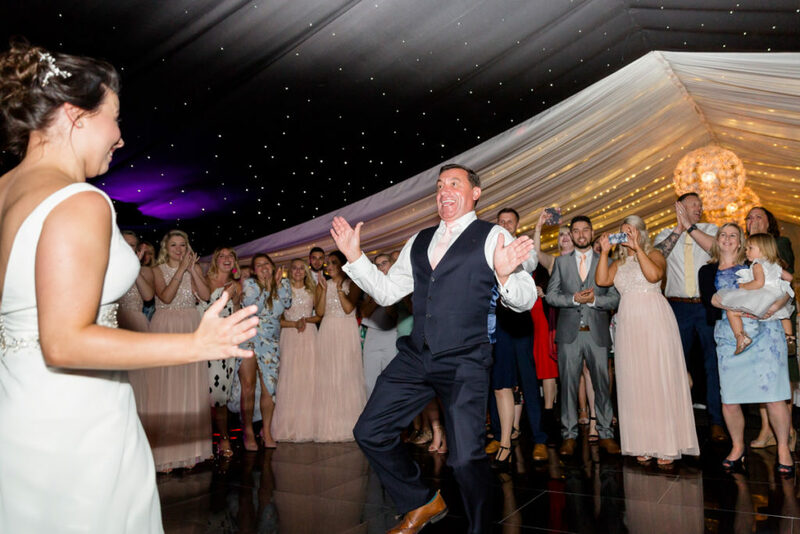 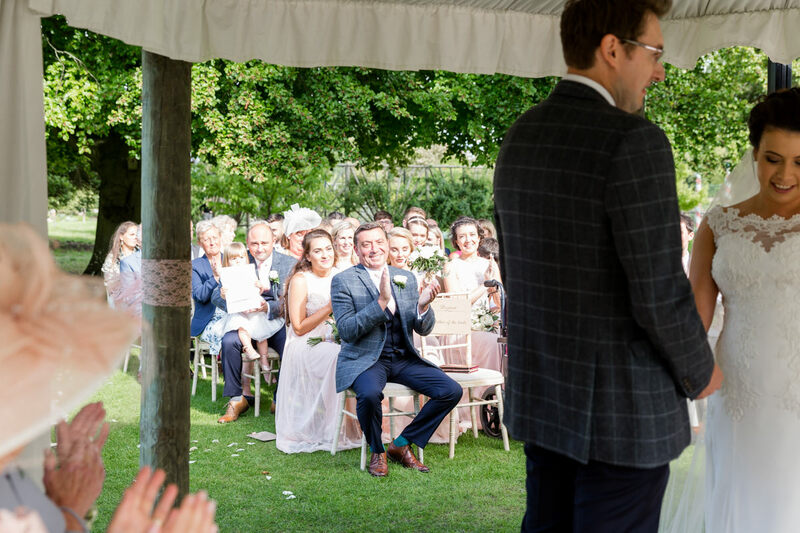 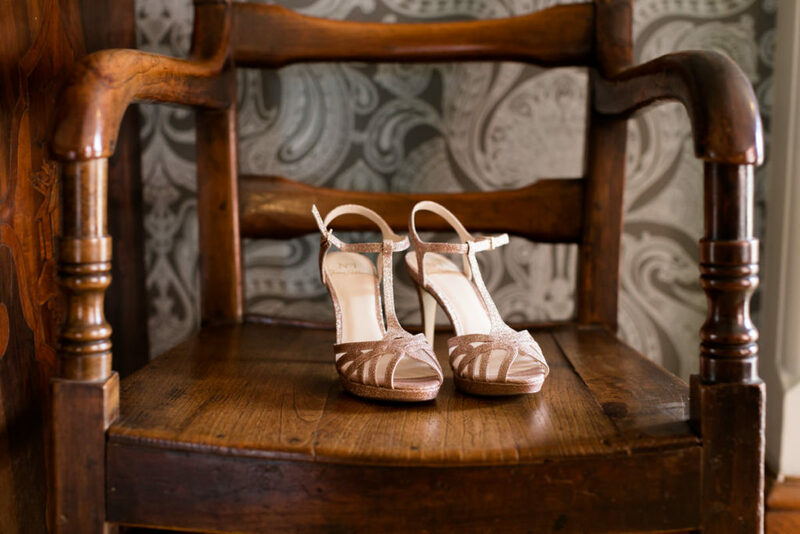 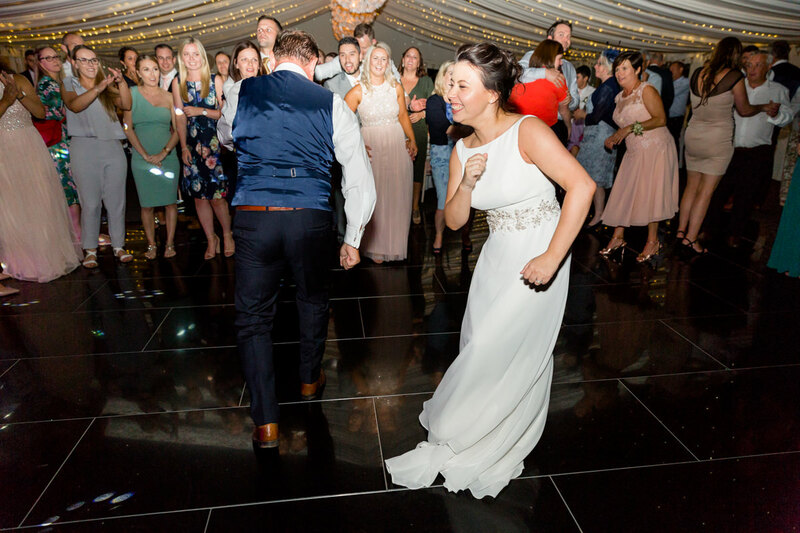 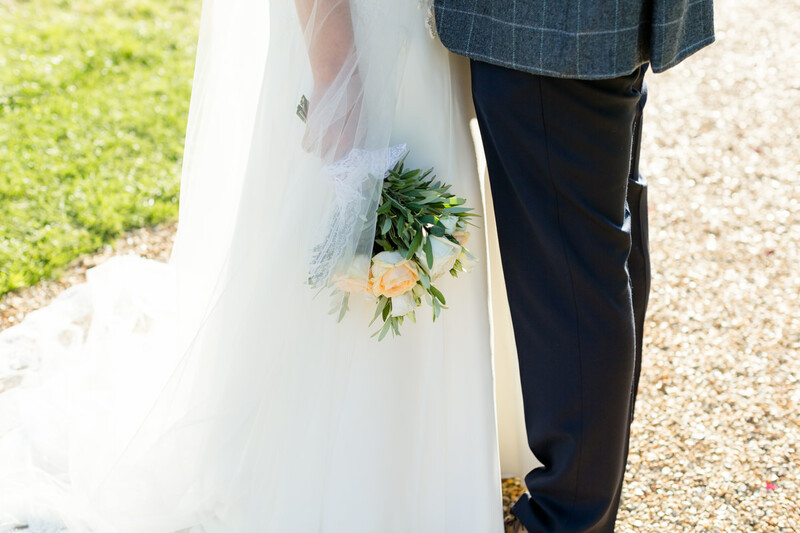 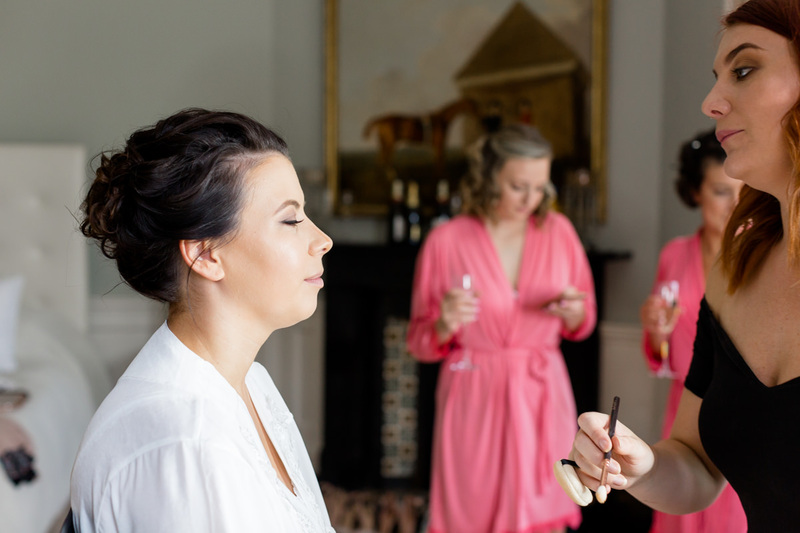 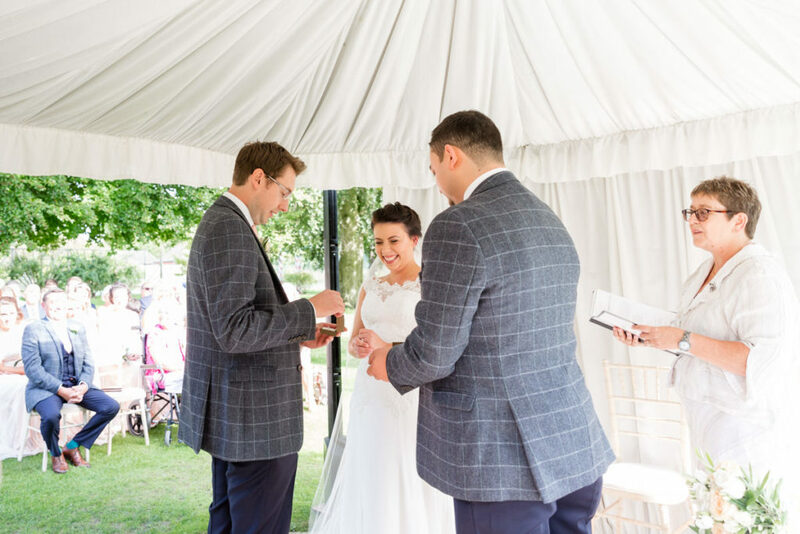 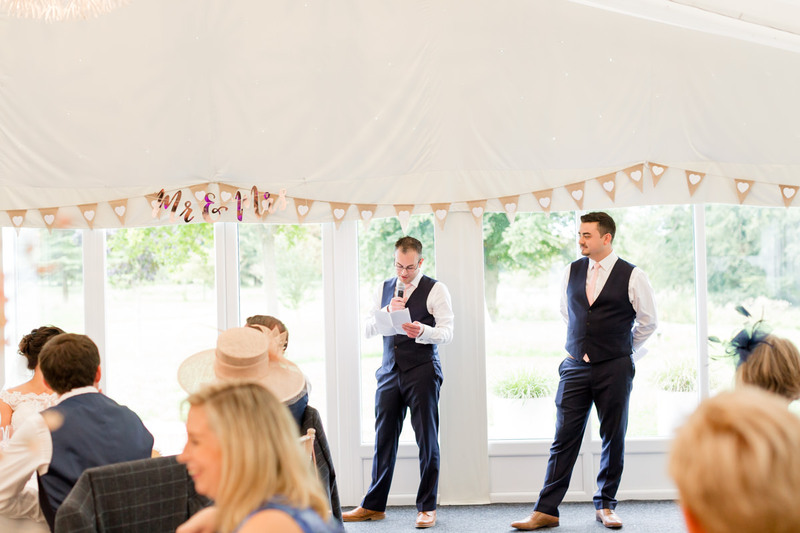 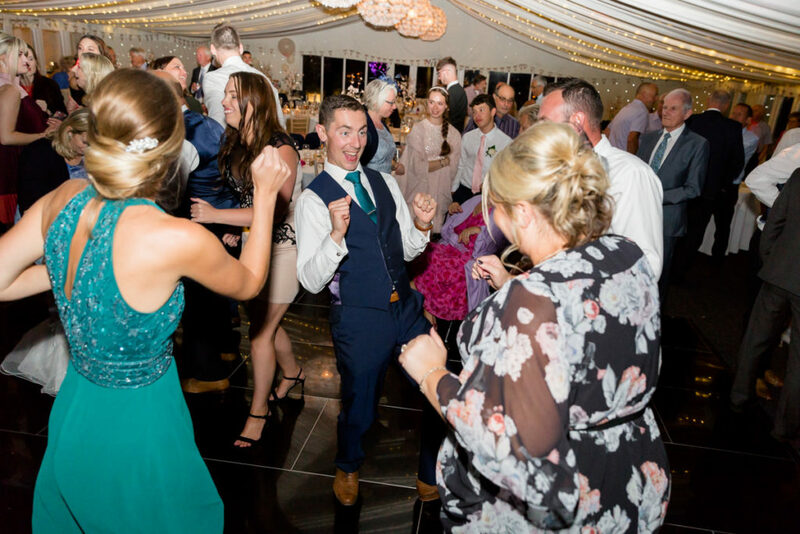 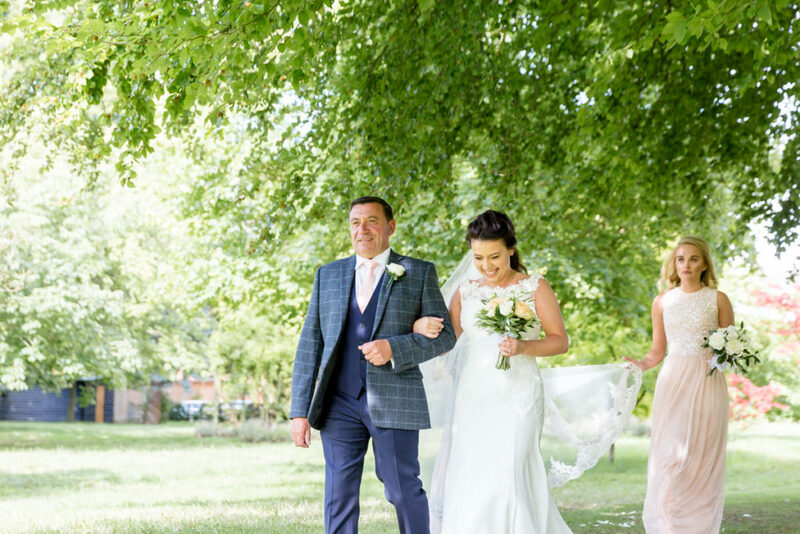 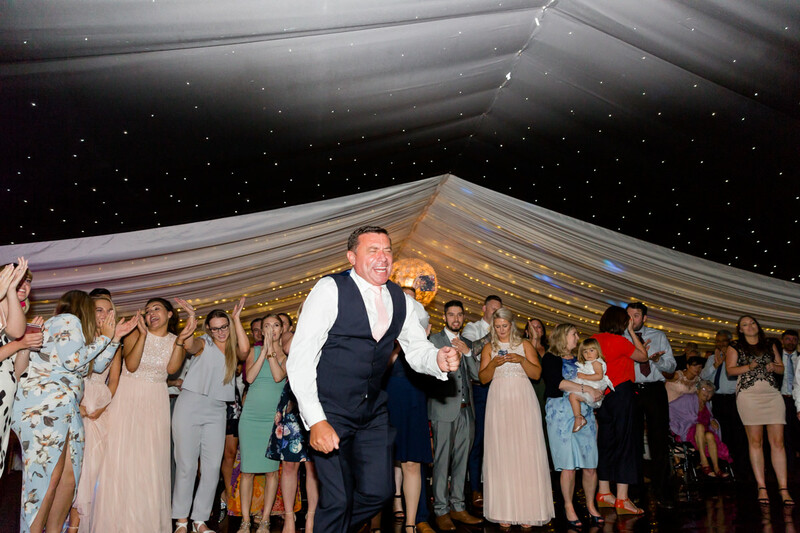 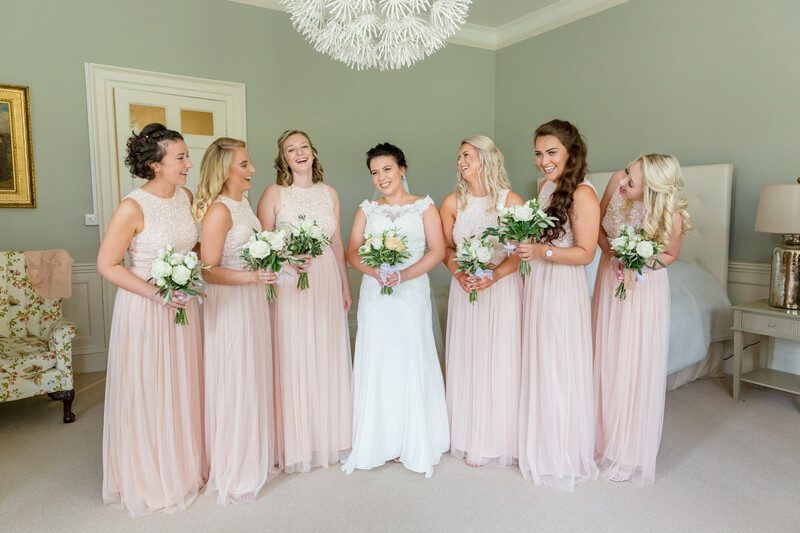 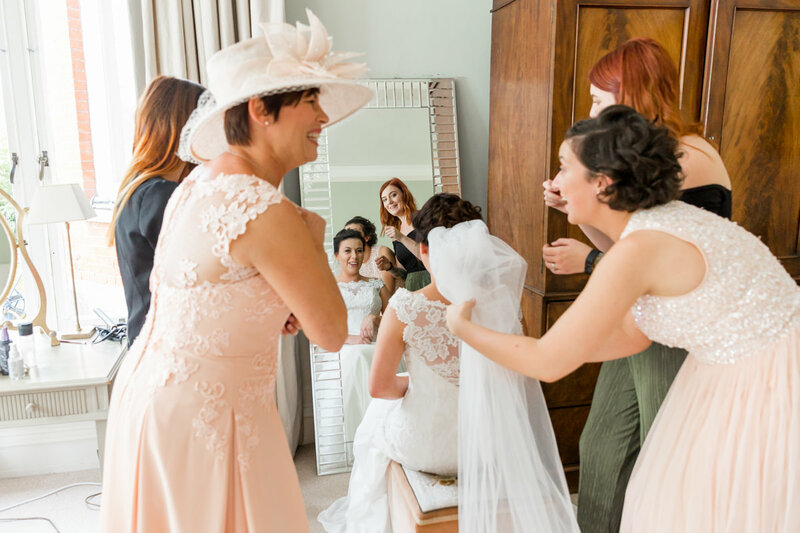 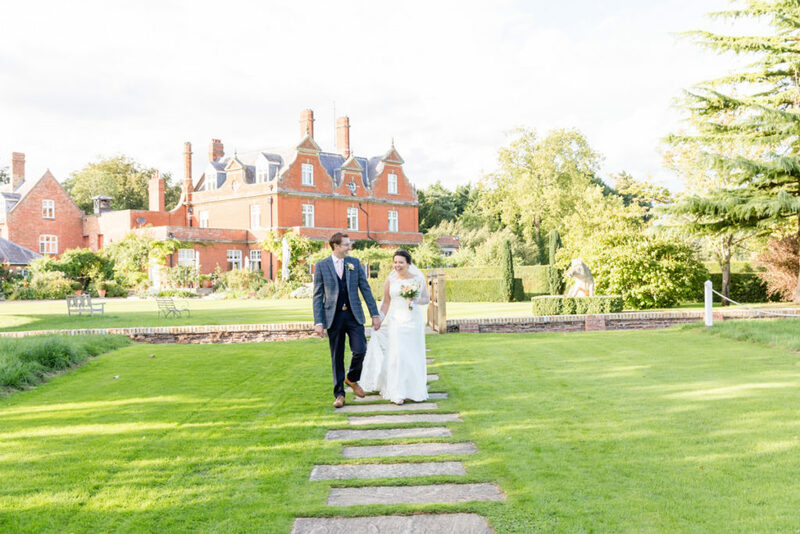 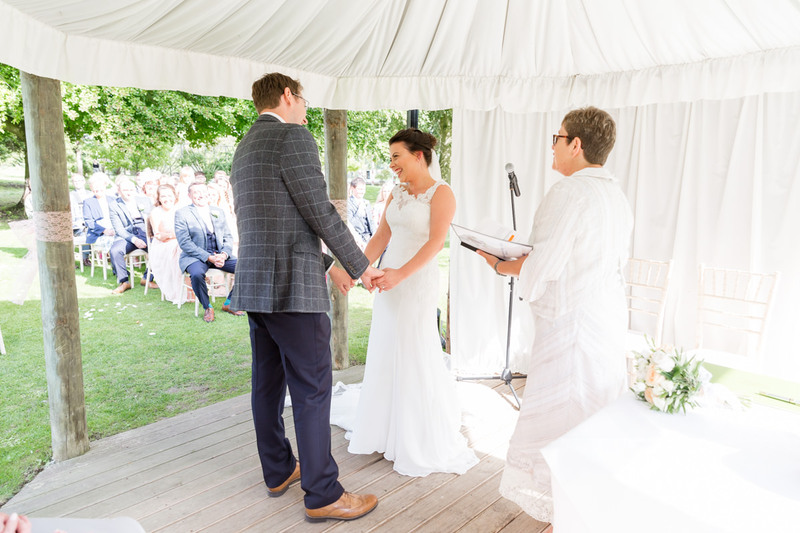 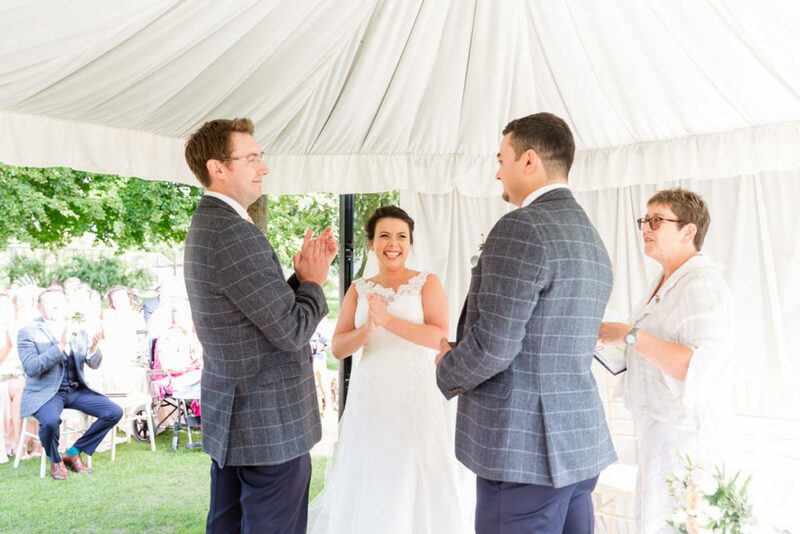 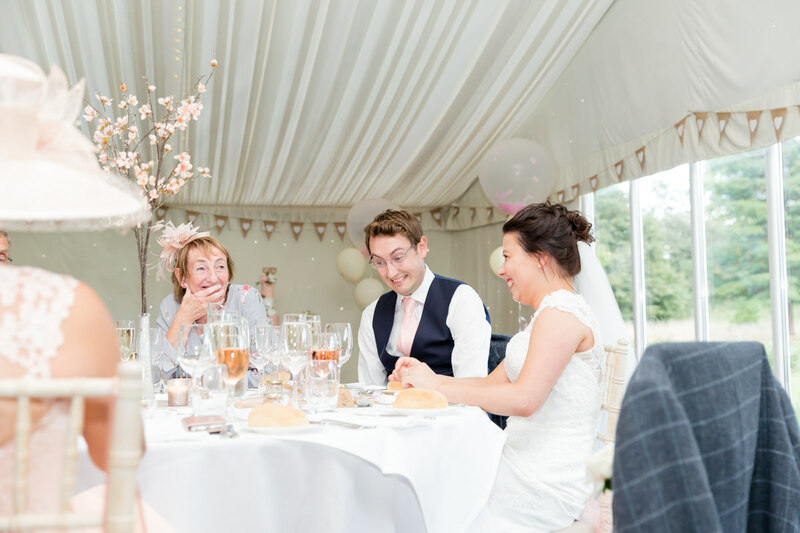 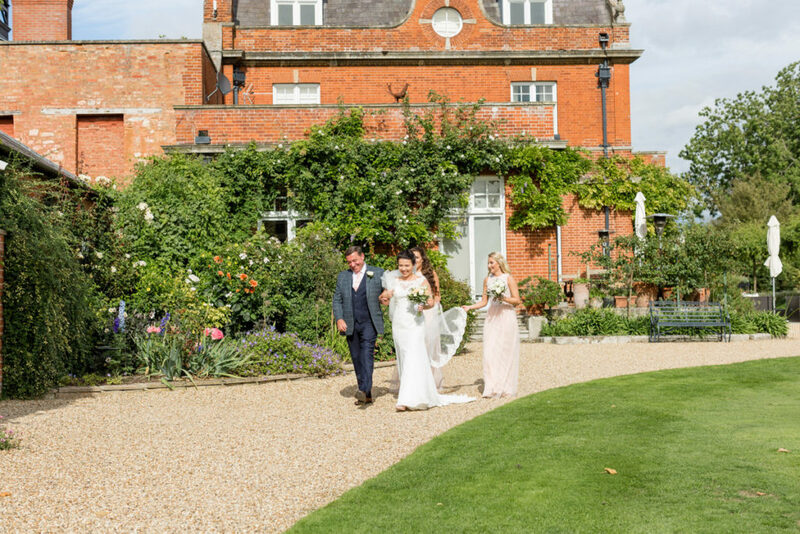 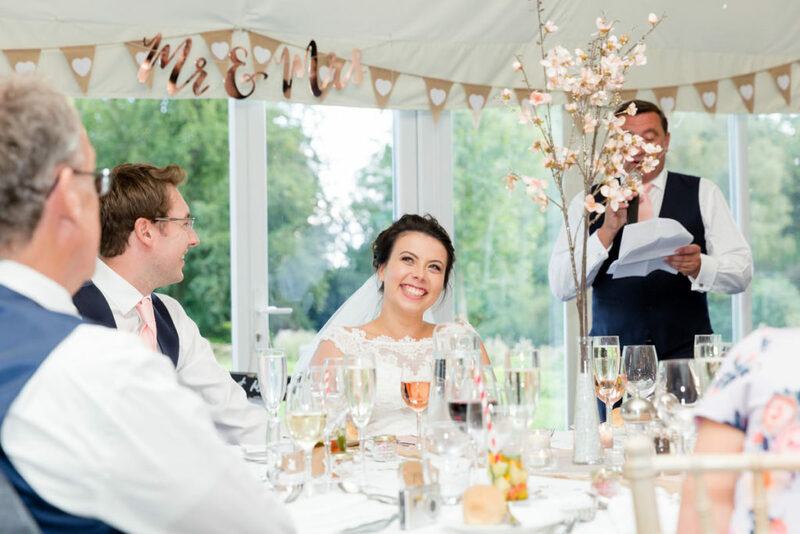 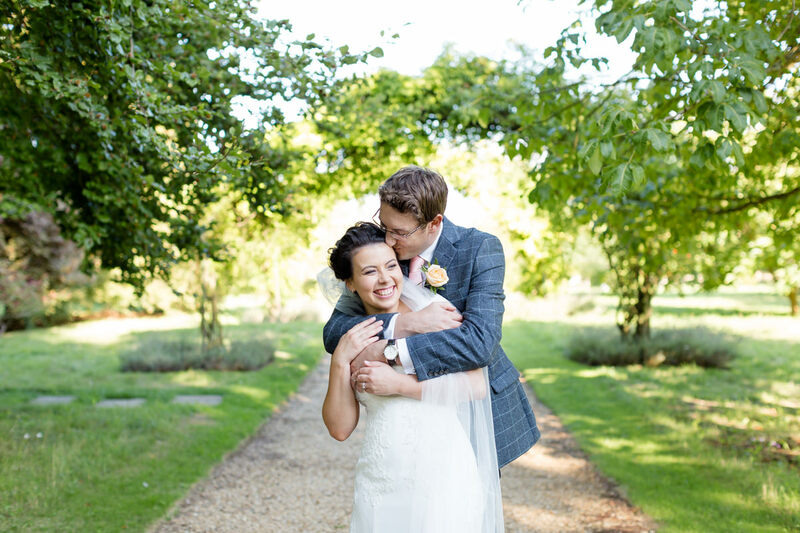 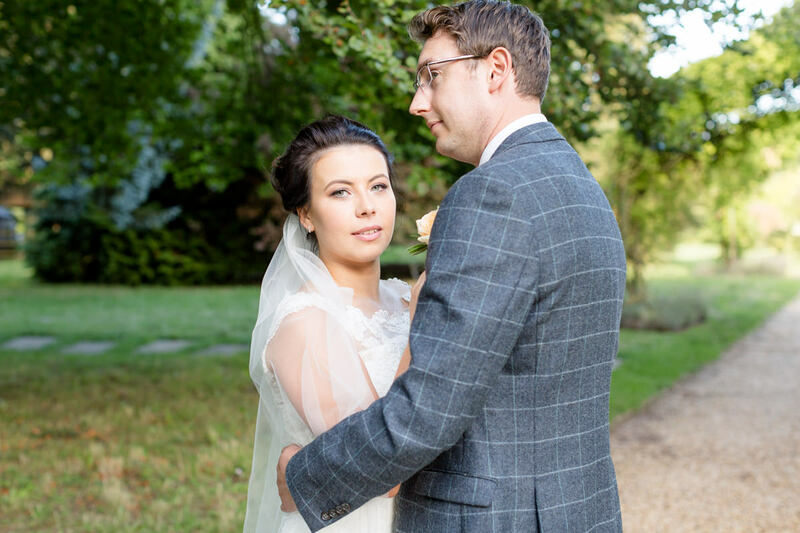 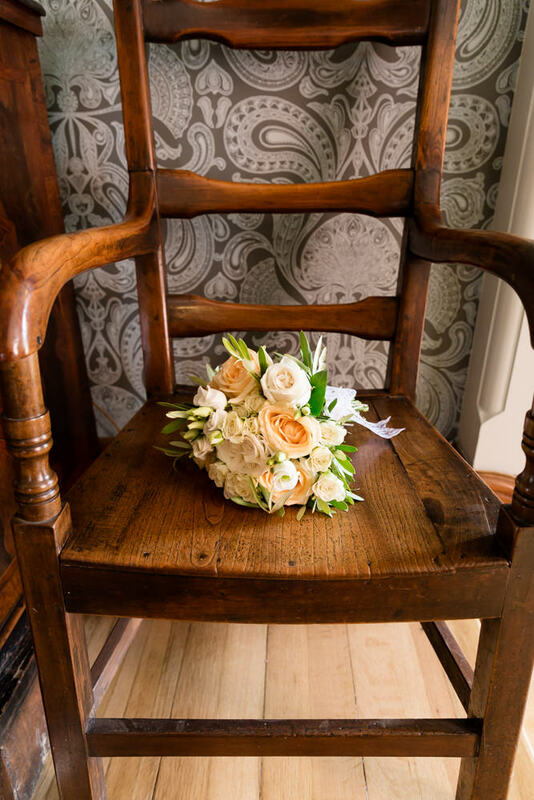 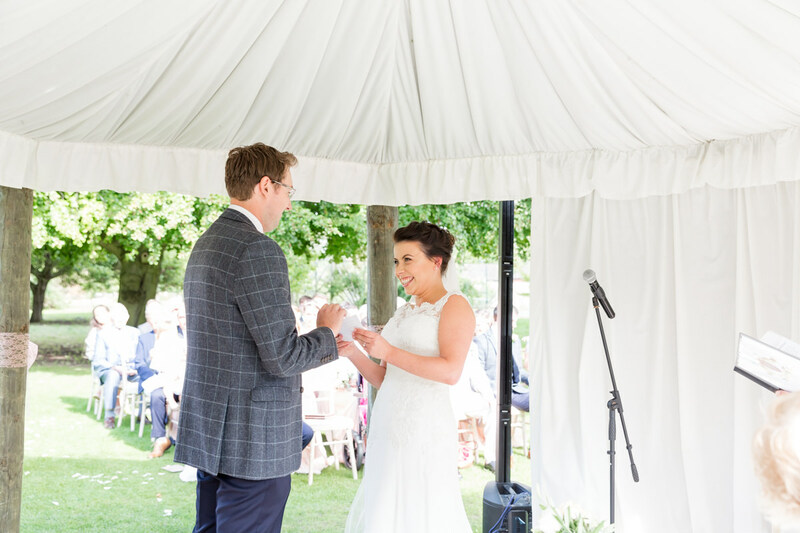 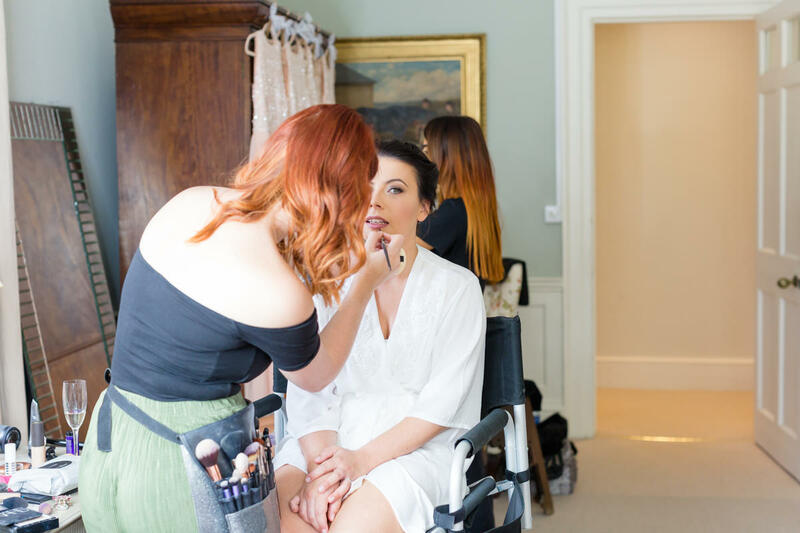 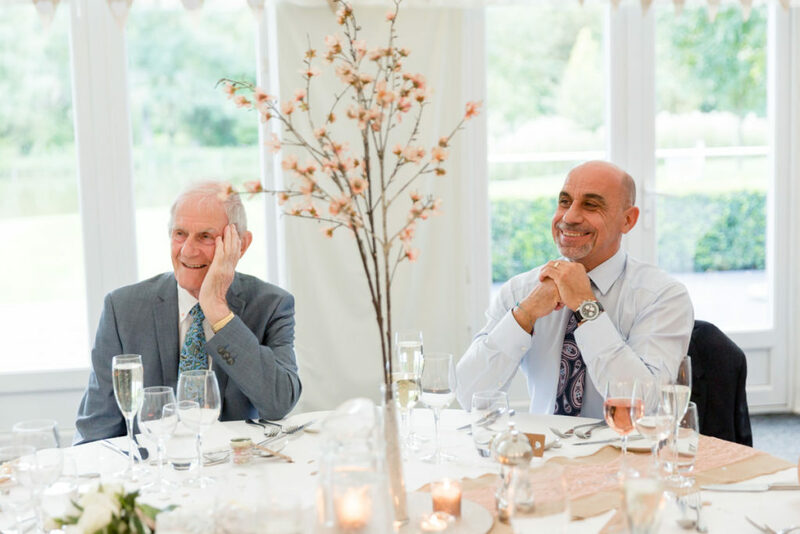 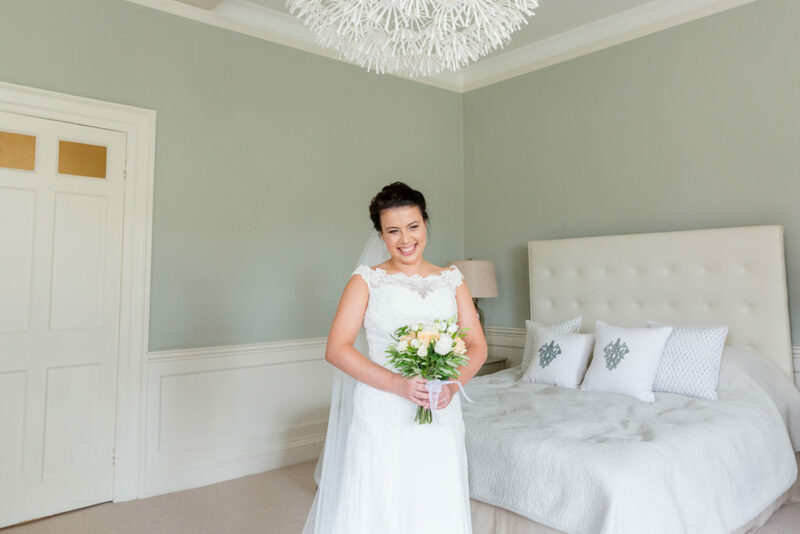 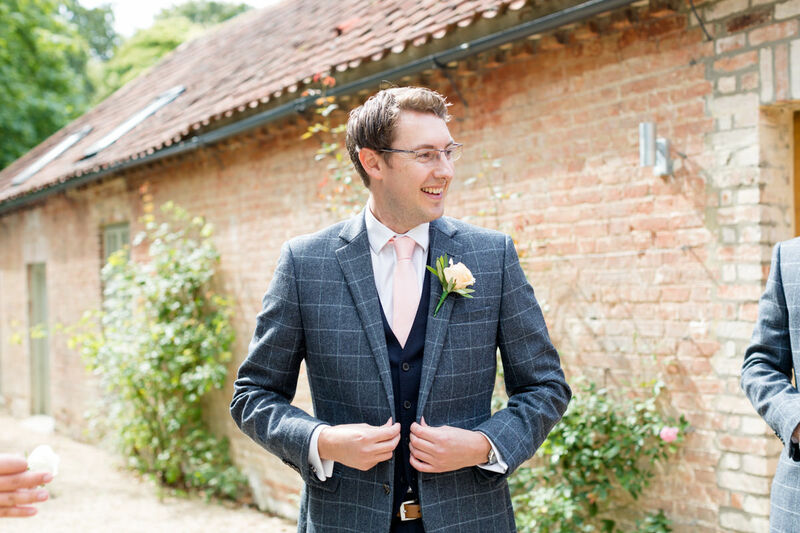 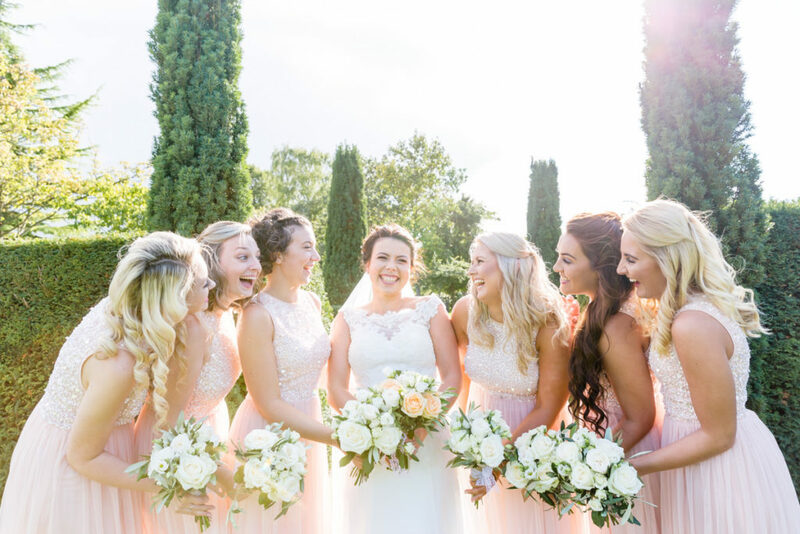 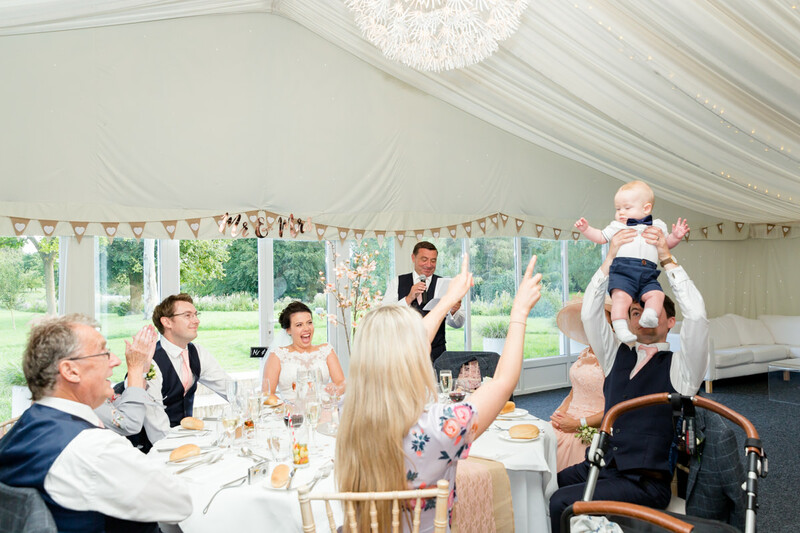 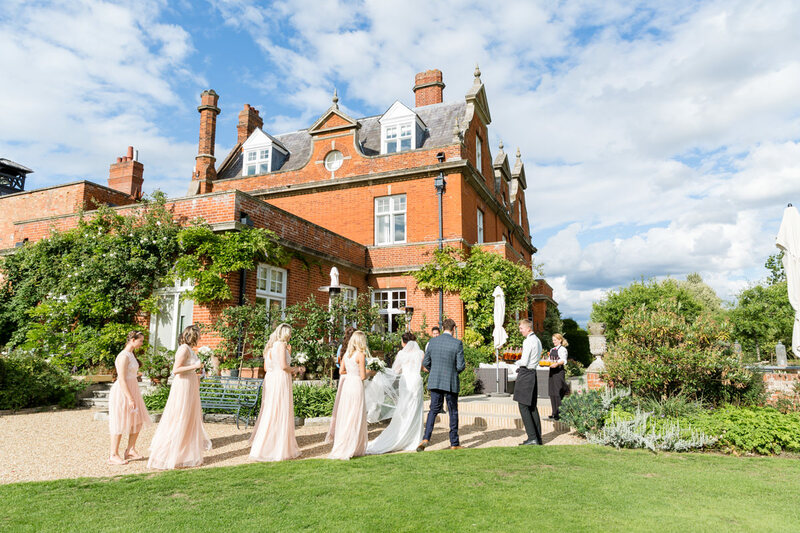 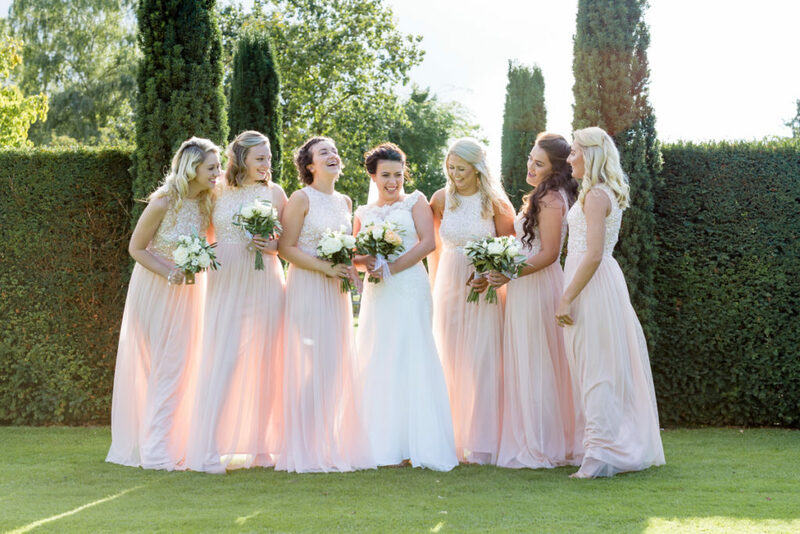 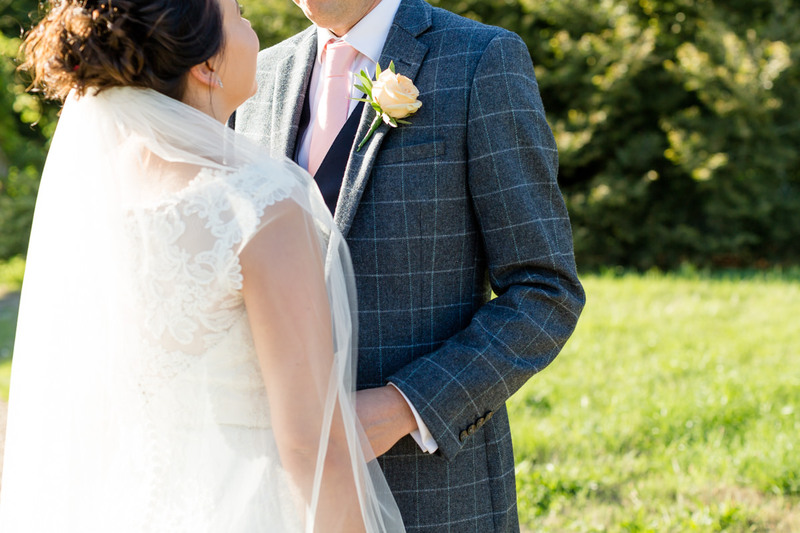 This stunning venue is nestled in the beautiful Cambridgeshire countryside and has so much to offer. 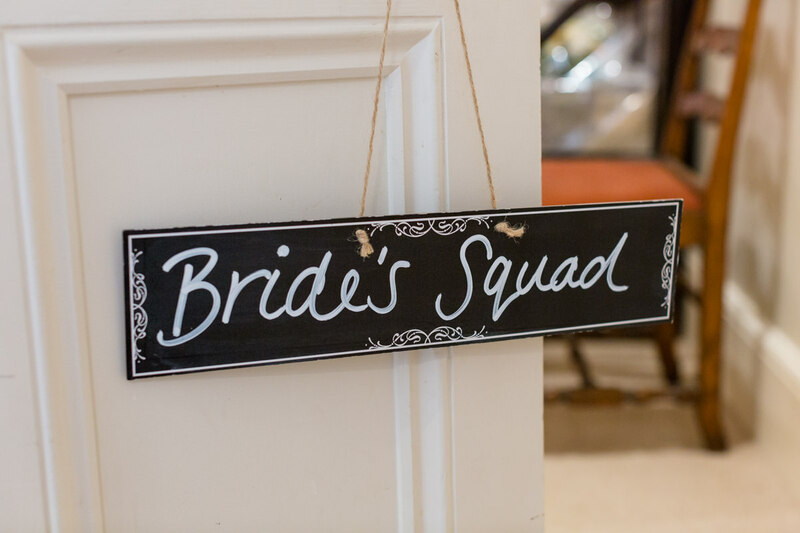 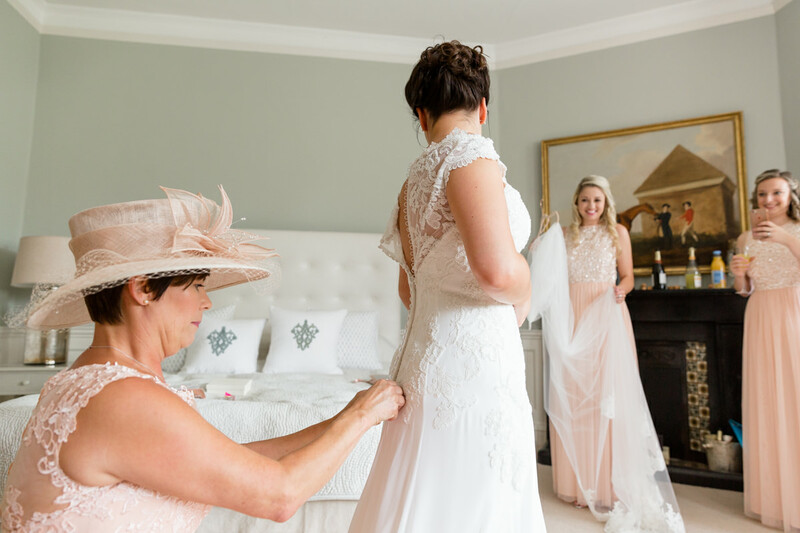 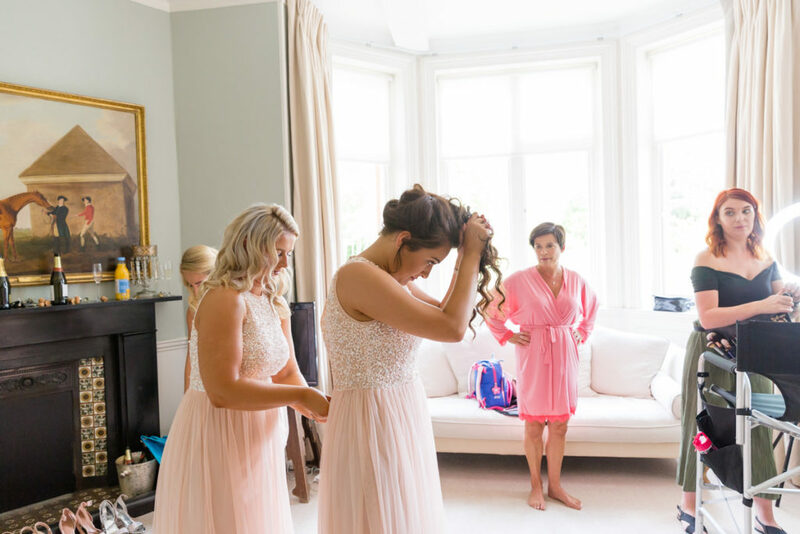 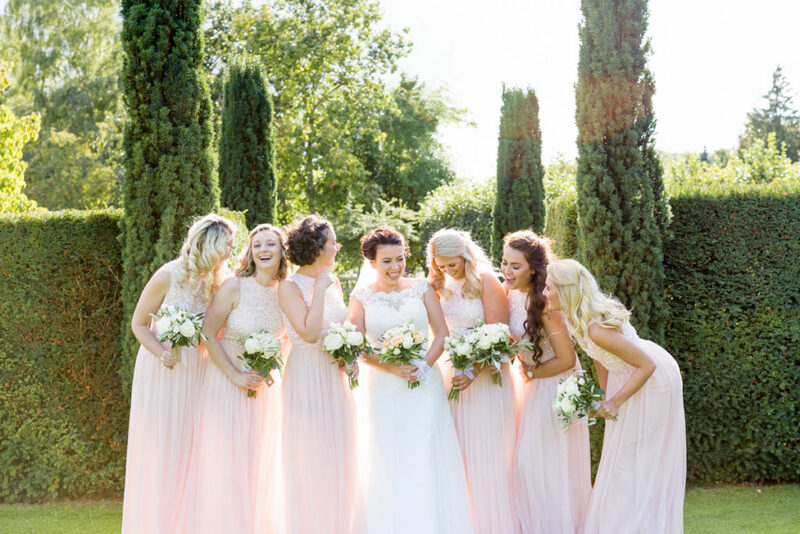 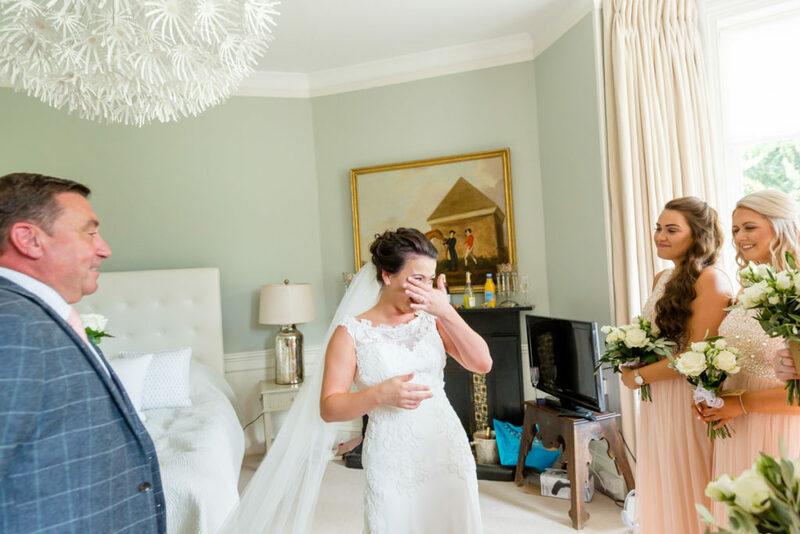 Back up to the house for preparations, Liv smiled all morning long while her Mum and bridesmaids buzzed around getting ready and kept checking to see if she needed anything. 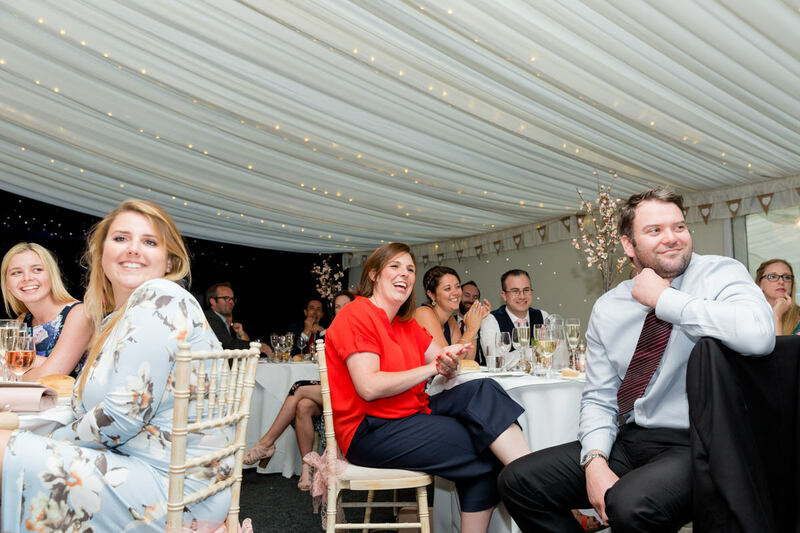 Liv has known everyone there for many years, which meant there was absolutely no shortage a funny tales and hysterical laughter! 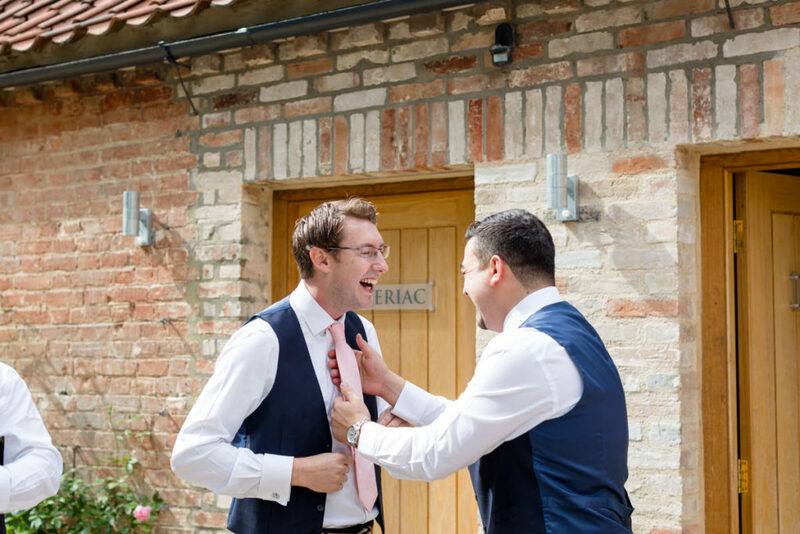 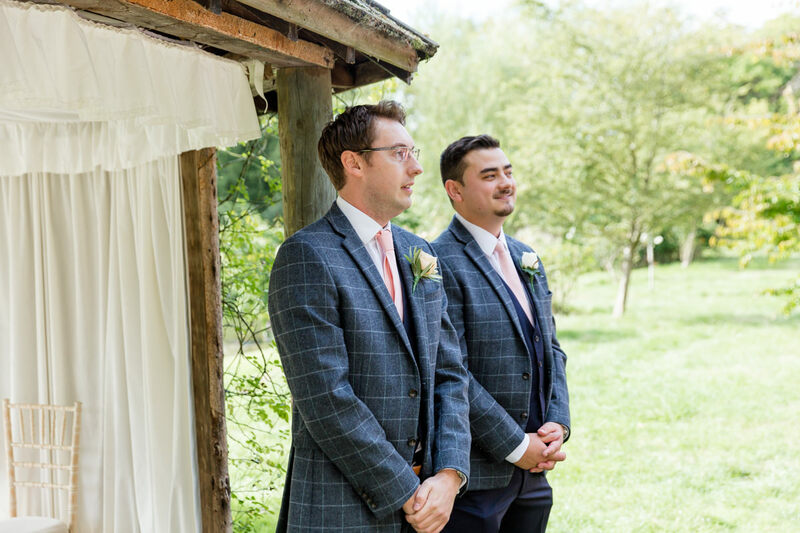 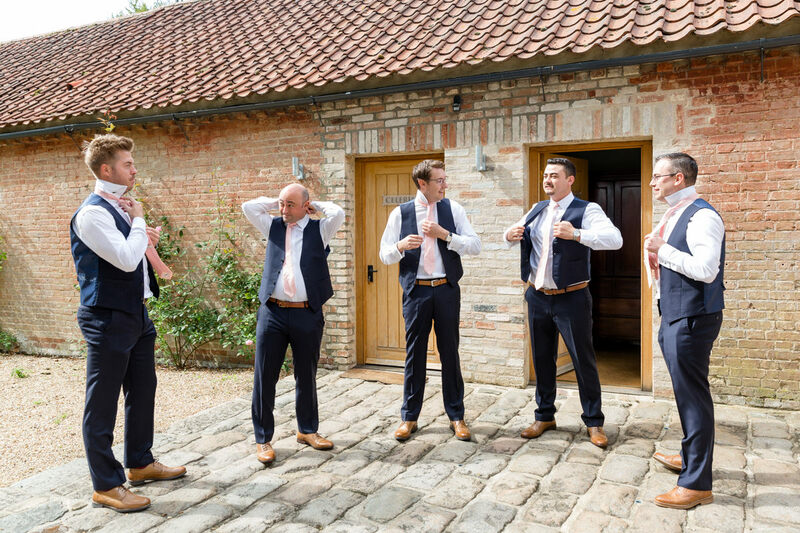 I popped over to the potting shed cottages to see Phil, his two best men and groomsmen for some prep photos. 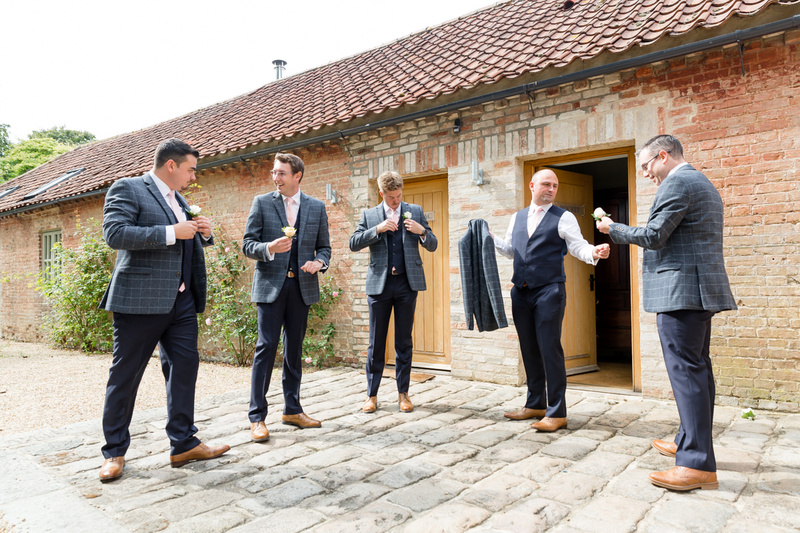 They were all in high spirits and looking smart. Phil appeared to be quite relaxed, but I think the nerves were starting to jangle a little by the time I left! 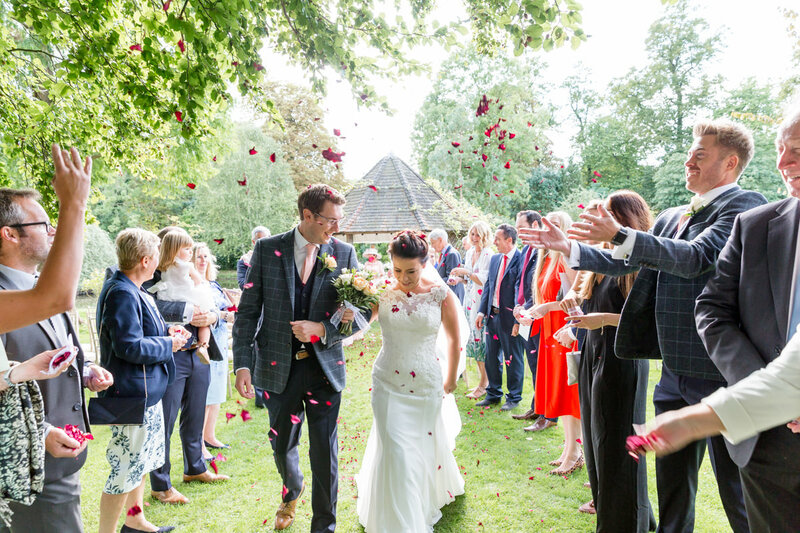 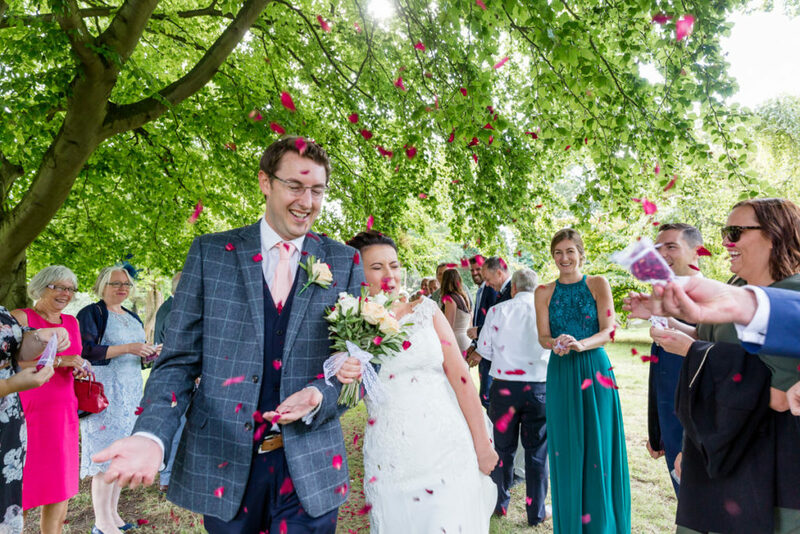 Married outside by the lake, this pair chuckled their way through their personal vows and were well and truly bombarded with confetti on their way to the rose garden for drinks. Couple shots in the beautiful sunshine followed epic bridesmaid photographs before speeches and wedding breakfast in the marquee. 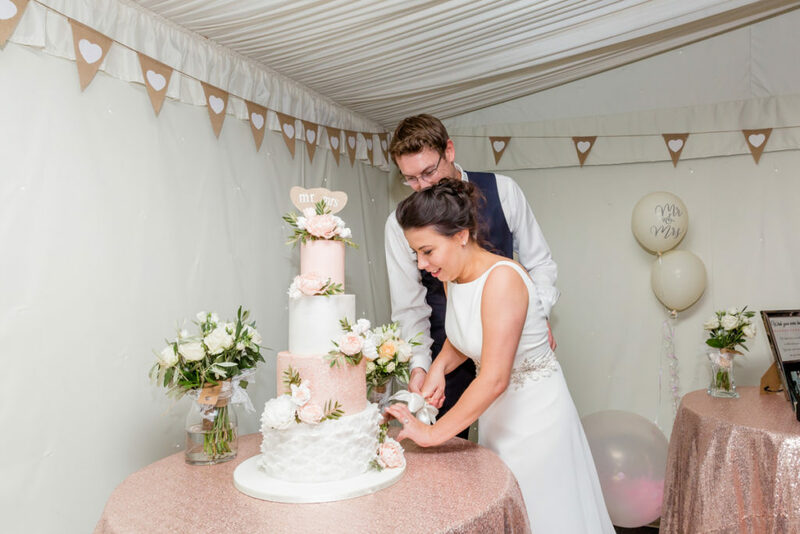 The evening finally gave way to the rain it had been threating all day, but it mattered not as Liv had changed into her second dress and was ready to cut the cake and party! 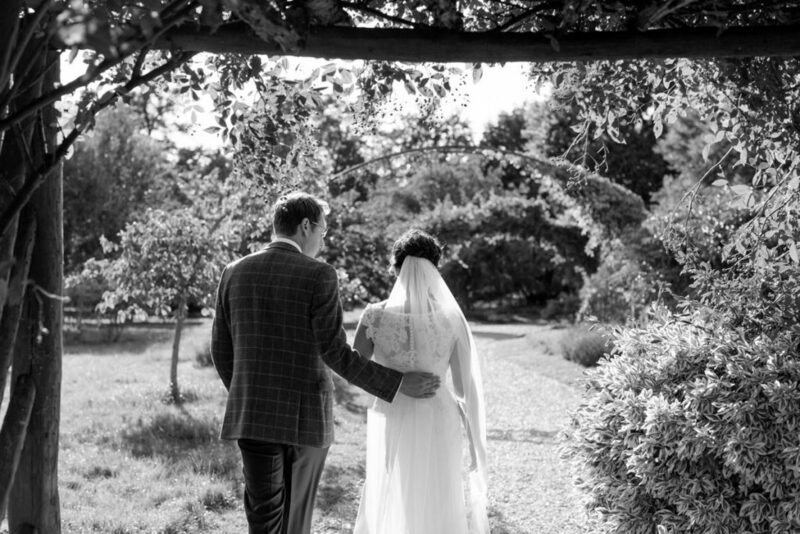 Thank you Liv and Phil for asking me to be a part of your day and for the laughs along the way. 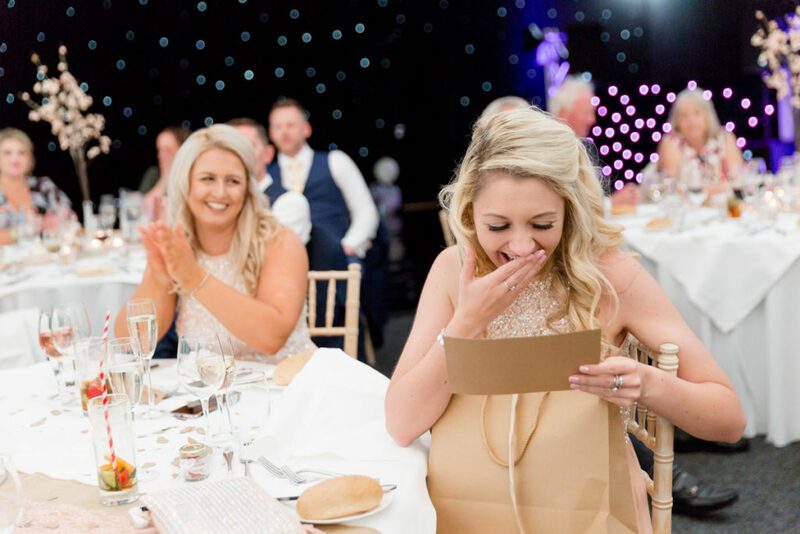 Your laughter and smiles are captivating! Thank you also to Chippenham Park for looking after me fantastically, as always.